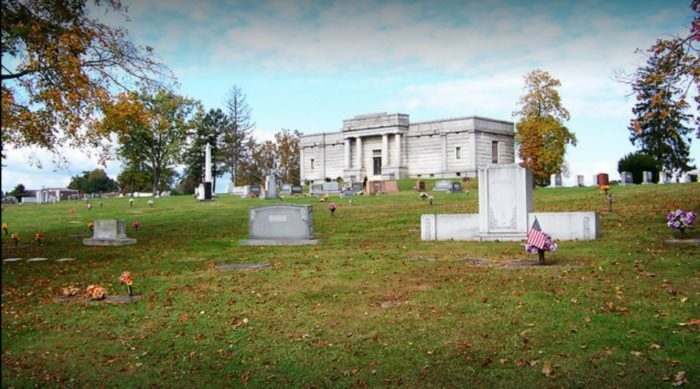 West Virginia cemeteries tend to be the go-to place for ghost hunts, and while some of them tend to be fairly quiet, many of them are not – these nine in particular. 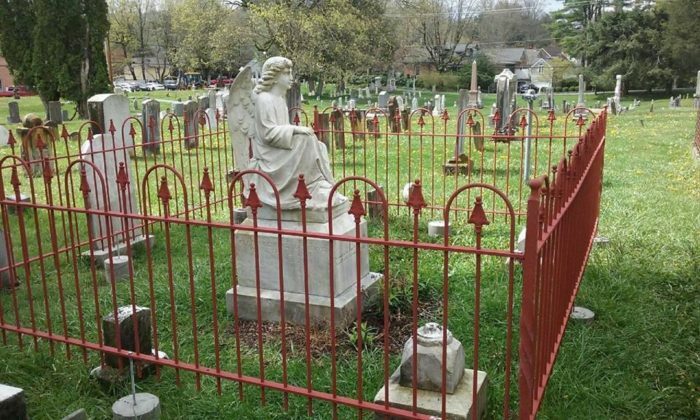 Spring Hill Cemetery is a popular spot in the capital city for ghost hunters. In 1869, this plot of land was purchased to replace an older, much smaller cemetery that was laid out when the city was founded. In the section called Potter's Field, there is a tree that is rumored to have been used for lynchings. Apparently, sometimes you can hear choking noises, accompanied by the creaking of branches. Other reports include children's laughter and floating orbs above graves. 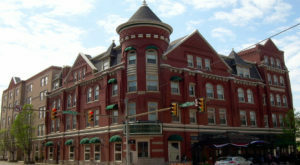 This location has a huge amount of paranormal activity attached to it, and it is a popular spot for Halloween ghost tours. 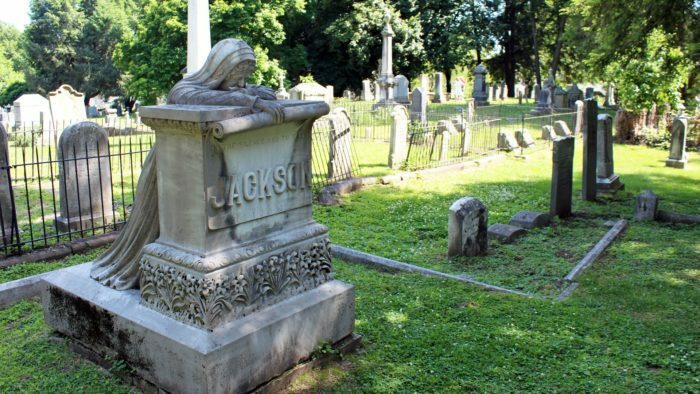 Reports include the cemetery's memorial statues walking around the grounds on Halloween, especially that of the Weeping Lady, pictured above. There are apparently photos of the statue with its hands in different positions as well. Many witnesses have also reported seeing a man in a black overcoat hunched over the grave of Captain George Deming, a sea captain. 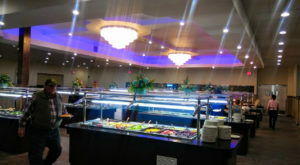 Many believe the apparition is the captain himself. 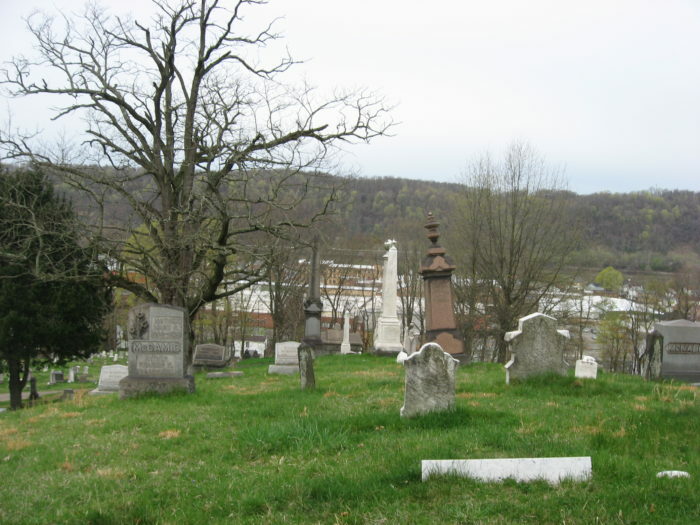 This can be a tricky one because the are actually seven Swann cemeteries in Cabell County, but the haunted one is in Barboursville. Visitors there often claim to not feel alone, or as if they are being watched, and photographs taken there frequently contain anomalies. 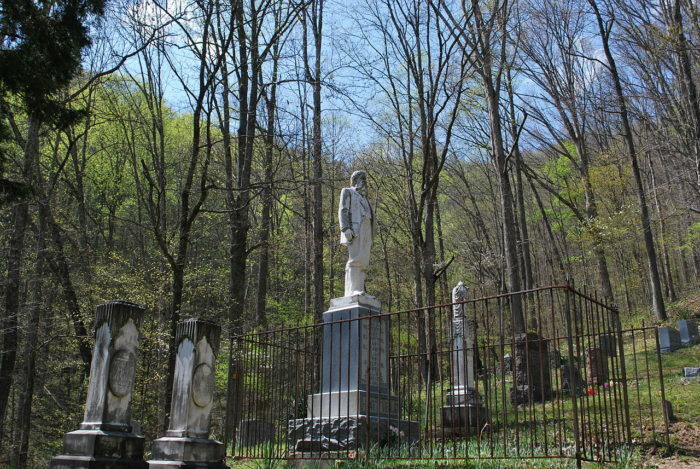 This 1875 cemetery is 42 acres and claims to be haunted by many spirits. 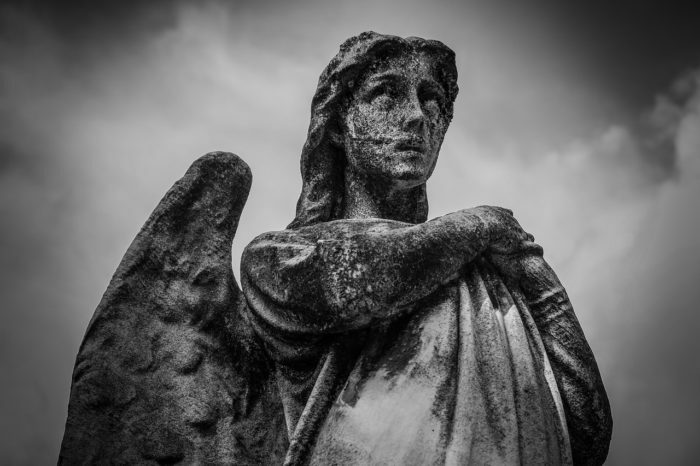 The funeral parlor often gives folks an eerie feeling as they pass by, like they are being watched, and some have even claimed to see a shadowy figure peering out the window. Other reports include the sound of shuffling footsteps and brand new camera batteries dying within seconds. This cemetery bears a statue of Devil Anse Hatfield himself. 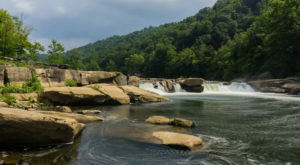 Apparently, the ghosts of Devil Anse and his six sons rise from their graves on foggy nights and walk to Island Creek to be baptized in the river by the spirit of William Garrett. This cemetery has a statue that was erected in memory of Maud Montague, who died during a pneumonia epidemic. Not long after her death, her cousins, two twin girls, visited the statue and kissed its cheeks. Shortly after the visit, both girls grew ill of the same disease and died. Now dubbed "The Angel of Death," legend says that if you kiss the statue, you will suffer the same fate. This cemetery is said to be haunted by many spirits, the most popular of which is the grave of Edith Blood. Edith is rumored to have been a nurse who murdered many children. It is said that on a full moon, her gravestone runs red with blood, earning her the nickname "Mother Blood." 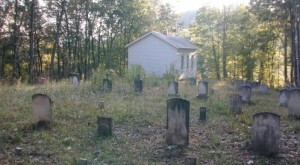 This is the third cemetery in this town, which was the result of the first two being shut down and the bodies being moved to their new location. It is believed that this has made the spirits in the graveyard restless. The most common report is sightings of full-bodied apparitions and pockets of mist forming into odd shapes. This cemetery was established in 1874, so many of the graves are very old. 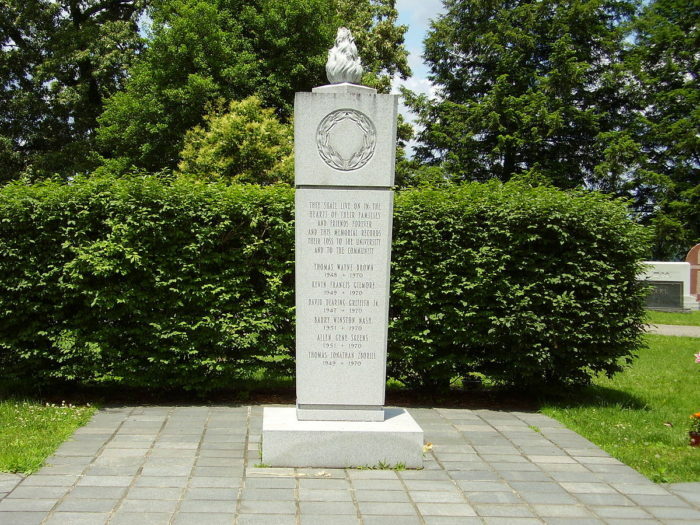 The cemetery also has Confederate and Union Graveyard, which includes the final resting place of General Albert Jenkins. 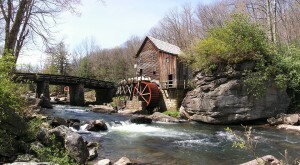 It is also the burial spot of people killed by the flu and smallpox outbreaks that occurred in the early 20th century. Anomalies include voices on EVP recordings and strange photographic evidence. 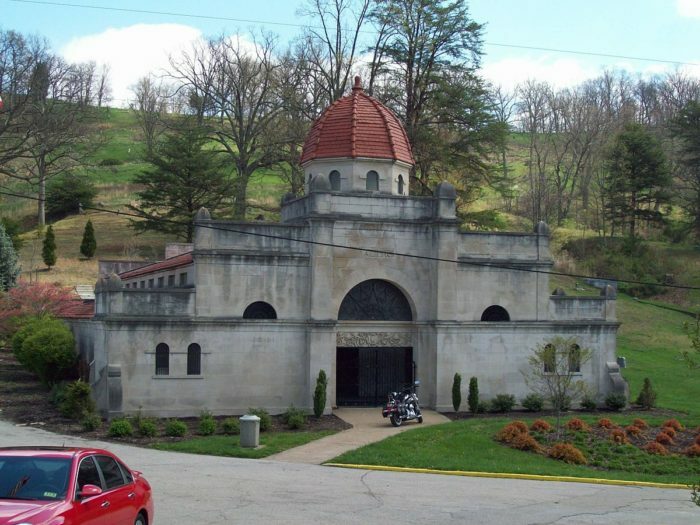 Have you ever been top these cemeteries? What other did you find active that re not included on this list? Feel free to comment below and join the discussion. 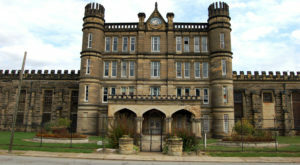 Graveyards are not the only haunted places in the state. 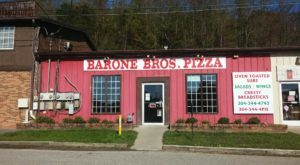 Check out these 11 best places to spot a ghost in West Virginia.